Two weeks ago I took The Advanced I course – Handling Dynamics, at Honda HART in St Ives. Two weeks passed and it was time for Advanced II, which focuses on road circuit skills. The course runs on HART’s private road circuit in St Ives, surrounded by the Garigal National Park. It is about 2.5km long and simulates a road with curves, hairpins, up/down hills, and nice twisties. 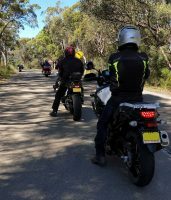 There were 8 of us doing the training and usually HART have 2 instructors for 8 riders. We were very lucky to have 4(!) instructors, which meant very close attention during the practices. It also gave us a great opportunity to get different input from very different experienced riders. As usual, the instructors were very good, very knowledgeable and very patient. 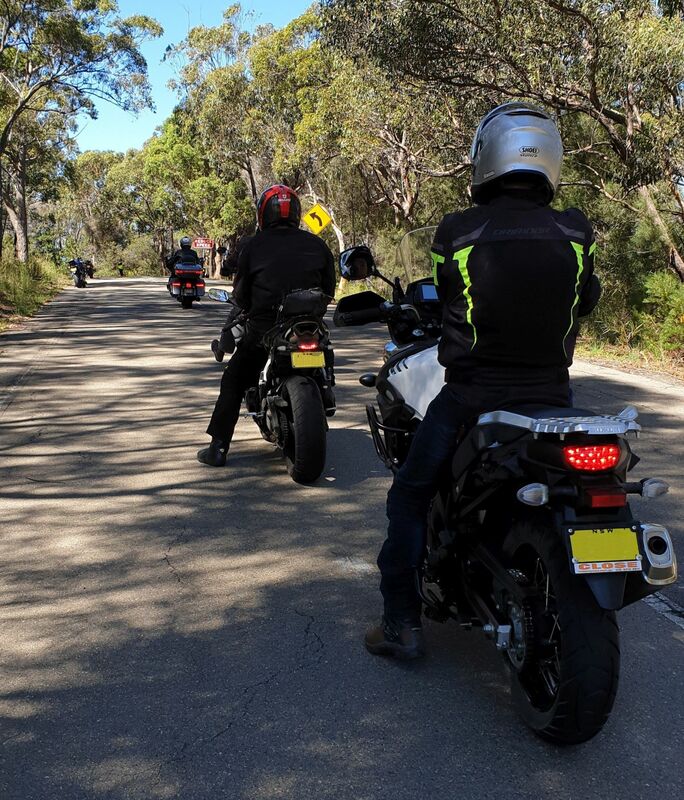 The 8 riders were mostly experienced riders, with different levels of experience, riding different types of bikes. We started the day with a brief of the course, safety check for the bikes and tyre pressure check. Then straight to the circuit, where we spent most of the day. 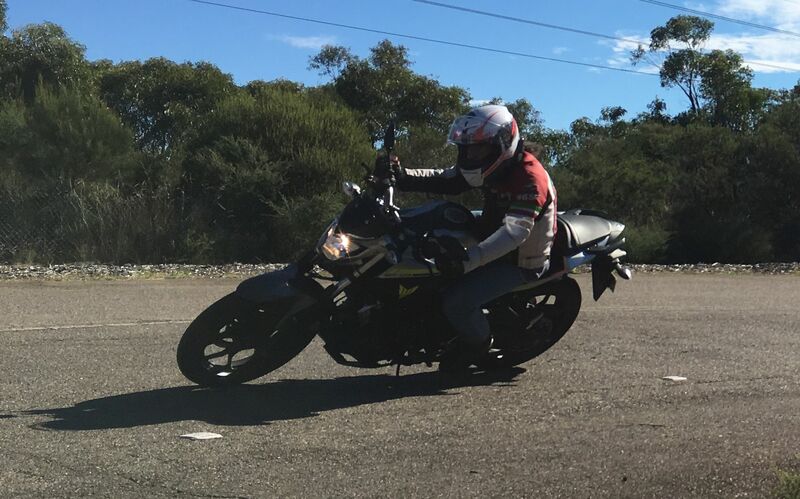 During the morning session we covered posture, slow speed maneuvering, quick stops and throttle control. After lunch (provided) we had plenty of time for cornering, corner braking, counter steering and body movement. There was plenty of practice time and all practices were closely observed by the instructors, who provided advice and corrections when needed. The course runs for a full day and in my view is very good. I left the course feeling I had learnt a lot and got to practice a bit what I learnt. 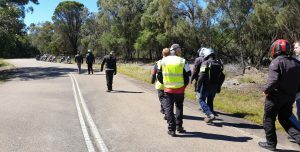 The skills learnt are important skills which every motorcycle rider must know. The government must encourage riders to take these advanced training courses and should subsidise them. It is in everyone’s interest to have better drivers and riders.